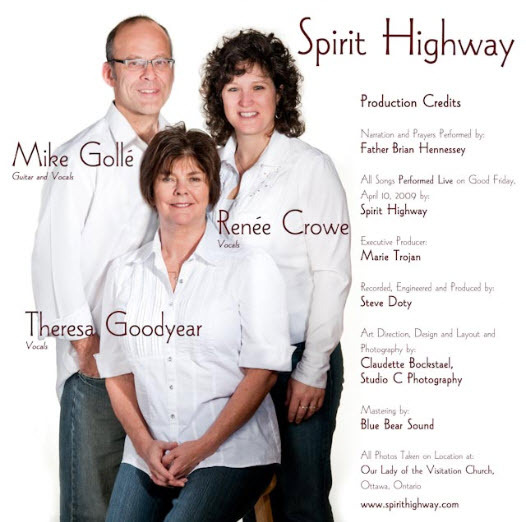 Spirit Highway is Renée Crowe, Mike Gollé and Theresa Goodyear - a singing group dedicated to songs of devotion. For the last several years, they have performed regularly at Our Lady of the Visitation Church in Ottawa, Canada. Their three distinct voices and Mike's accompanying acoustic guitar blend beautifully to create memorable renderings of familiar and less-well-known devotional songs. 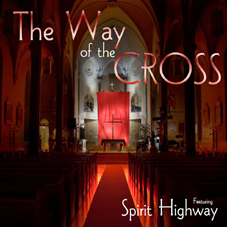 On Good Friday of 2009, Spirit Highway's live performance accompanying Father Brian Hennessey's presentation of The Way of the Cross was recorded and captured on the CD, "The Way of the Cross". The Way of the Cross double CD package is available for $15 plus shipping and handling. All proceeds to Our Lady of the Visitation Building Fund. Click here for more information.